An Indian bride will usually have elaborate henna designs put on the feet for decorative purposes for her wedding. Sometimes it is a shame to have to cover them up, but putting on proper footwear is a neccesity during those photo-taking sessions and the wedding dinner reception. This article showcases a few designs of traditional Indian footwear that you can wear with a bridal saree, or bridal lehnga. 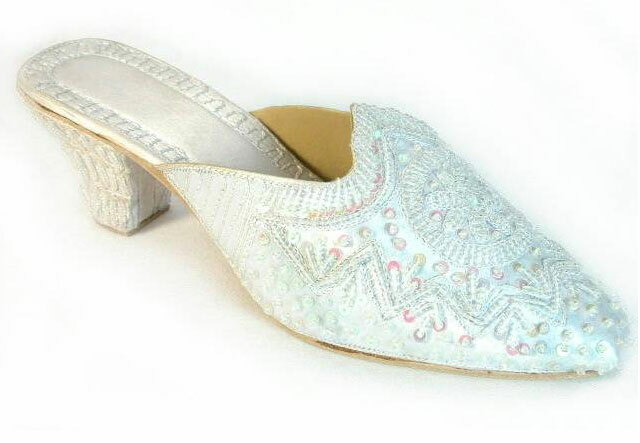 As you can see, Indian ethnic wedding shoes come in a variety of colours. It is always possible to find a pair that matches your wedding dress, no matter what color outfit you end up picking. It may take some time to hunt down the perfect pair, but it can be done! 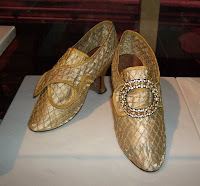 The only drawback in picking Indian ethnic wedding shoes is that most of them are low-heeled. If you are looking to add some height, then you should pick high heeled shoes, preferably with a sturdy high heel if you plan on being on your feet for hours. We will post more on selecting wedding high heeled shoes in a later article. Look out for it.